Welcome to TRI-MED HOME CARE SERVICES, INC., Consumer Directed Personal Assistance Program (CDPAP). The Consumer Directed Personal Assistance Program is a Medicaid funded home care program in the New York State. The program allows people with disabilities and/or personal care needs to have more control over their personal assistance services. 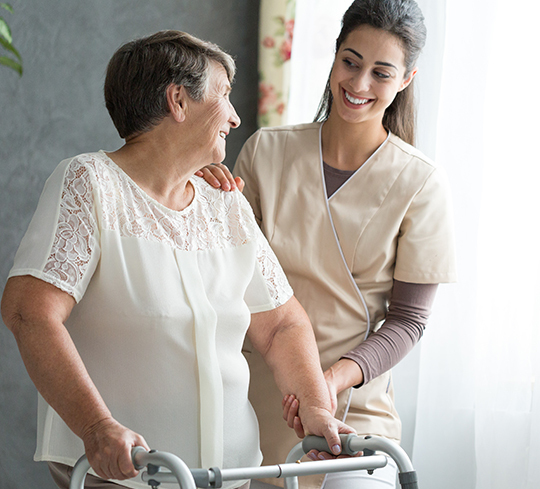 TRI-MED HOME CARE SERVICES, INC. “CDPAP” enables individuals who are independent and non-independent to, self-directing home care service consumers to directly affect their quality and continuity of home care services. The self-directed consumer is responsible for the recruiting, interviewing, hiring, training, scheduling, supervising and terminating Personal Assistant(s) of their choice. TRI-MED HOME CARE SERVICES, INC. is readily available to assist you in becoming a consumer of the CDPAP. On the following pages enclosed in this packet, we provide literature describing some of the key components of our unique program. If you would like to know more about the program or receive free consultation, please call our office at 516-218-2700. We are located at 49 PIERMONT AVENUE, SUITE 101, HEWLETT, NY 11557. The office is open Monday to Friday from 9AM to 5PM, and on Saturday from 9AM to 3PM. What is TRI-MED HOME CARE SERVICES, INC. “CDPAP”? TRI-MED HOME CARE SERVICES, INC. “CDPAP” is a Consumer Directed Personal Assistance Program, a viable alternative to conventional home care services, which promotes consumer independence. The program enables self-directed consumers and/or advocates to recruit, interview, hire, train, schedule, supervise and dismiss Personal Assistance(s) of their choice. Self-directed consumers and/or advocates assess needs, determine how and by whom these needs should be met, and monitor the quality of services received. Individuals independently make all decisions and manage services directly. What are the consumer responsibilities? Manage the services of the Personal Assistant employed. Notify the Service Coordinator of any changes in status, including, but not limited to, the consumer’s address, phone number and hospitalization. Notify the Service Coordinator of any changes of each Personal Assistant(s) Name, address, phone number, employment status, and hours worked. Arrange and schedule back-up Personal Assistant coverage for vacations, Holidays, absence due to illness and personal time. Develop an emergency backup system in the event substitute employees are needed to replace permanent employees. Process in a timely manner the required paperwork such as time sheets, health assessment vacation and time off requests, and other required employment documentation. Schedule visits with a registered nurse once every six (6) month for the required nursing assessment. Sign a contract agreement with the program to fulfill these responsibilities. What are the responsibilities of TRI-MED HOME CARE SERVICES, INC. “CDPAP”? Process the payroll for each Personal Assistant. Payroll will be processed on a bi-weekly basis provided that TRI-MED HOME CARE SERVICES, INC. has received the weekly signed time sheets.